When I'm out in the field, I carry a backup water filtration system in my pack. 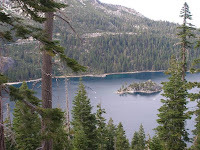 This last trip out, in September, my squatcing buddy, Woodrat and I, ran out of water. With nightime temperatures getting down into the low 20's, we drank a lot more tea and hot chocolate than we had anticipated. About 100 yards from our base camp, there was a little dribble of creek that forms from an upwelling out of the ground, that runs about 70 feet, and then dries up, as it seeps back into the ground. We like this spot, as we believe it to be a travel corridor that the squatch use, down this specific canyon we were researching. We had vocalizations coming down the canyon on two different occasions after nightfall. OK, I digress, as this is a review of the Katadyn Vario, not a squatching article. I will write about my last two outings soon. It's been a while I know, but better late than never. I got my Katadyn Vario Water Microfilter from allfilters.com It's a great sourse for all brands of quality water filtration products for the home, garden and camping. 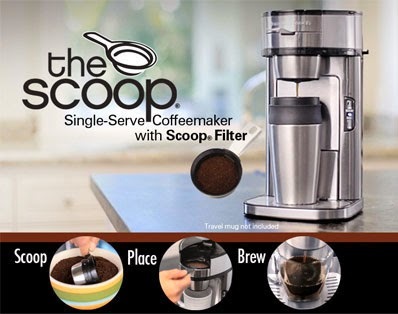 The best thing about All Filters is that there is free shipping on most of their products, including the Vario. Below are photos of how easy it is to use. It's a quality product. It's Swiss made. Enough said. Katadyn Vario filter, shown with the intake tube, prefilter, and float. Attach the intake hose, to the intake port. Attaching the output tube to the outlet port. Insert the output hose into a clean storage container. Set the weighted prefilter into a shallow pool, with the float adjusted for the depth, so that the weighted prefilter is not lying directly on the bottom. This is to keep less debris and silt from getting into the pump, though it can handle water of less clarity. 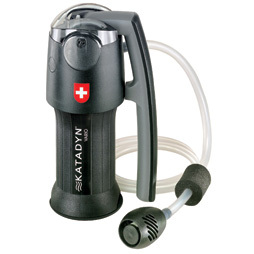 The Katadyn Vario is easy to use and flow rate was pretty good. Took about 5 minutes of pumping for 1 gallon of fresh, clean water. Cleaning was easy too. When you get home, just follow the simple directions, included with the unit, in it's own, zippered nylon storage bag. It fits easily in my CamelBak backpack, even with all my other squatchin gear, and my 3 liter hydration bladder, full. Remember to practice safety first out in the field. Water is key in survival situations. Make sure that your pack is properly outfitted in the event an emergency should arise. Take care out there, and squatch safely. My friend, Larry, of sierrasquatch.net, will be on Nite Callers Radio, along with my squatching buddy, Woodrat (Sasquatch Searcher), this Sunday, December 5, 2010 at 4pm PT. 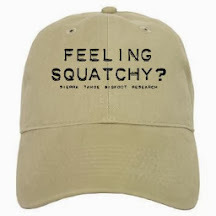 The show will focus on their research, and ideas on squatching. Joining them will be Woodrat's friend, Tractor, and I will be in there somewhere, lurking in the background. My last 3 squatch trips have been with Woodrat, so he wanted me in on the fun too. If you can't listen at the scheduled time, click here and it will direct you to the link for the show, that will be saved in Nite Caller's archives. I was on Nite Callers back in April, and had a blast. 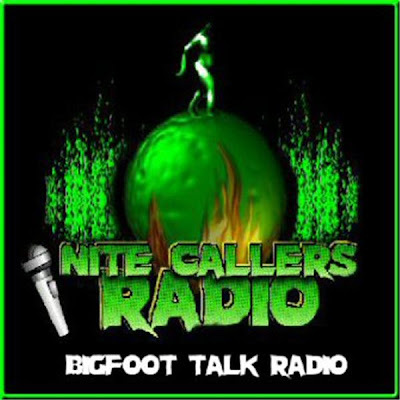 The link to that interview can be found by clicking here, or on the Nite Callers logo, on the right side of this page. Scroll down to the links to find it.